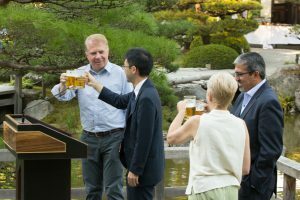 More than 250 guests attended the sixth annual Garden Party on July 29 in support of the Seattle Japanese Garden. It was beautiful summer evening in the Garden—a true feast for all the senses. 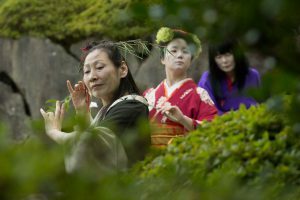 Guests enjoyed sake tastings, traditional Japanese summer cuisine, a haiku art walk, music and dance performances, and more. As the Japanese Garden’s new support organization, we were thrilled to be hosting this wonderful event for the first time, working with the many volunteers who helped create it. The party was sponsored by the Prentice Bloedel Arboretum Unit 86, and by Noriko and Doug Palmer. Mayor Murray toasting with Senior Consul Takeshi Murazawa. Butoh dancers performed a Tiny Parade in beautiful kimono. Murazawa, of the Consulate General of Japan in Seattle, led a kanpai toast. Thanks to everyone who came! Thanks also to the Japanese Garden Event Committee chair, Jeanne Peterson, and her committee for their terrific work in helping organize this beautiful evening. A special thanks to Unit 86 for their support. 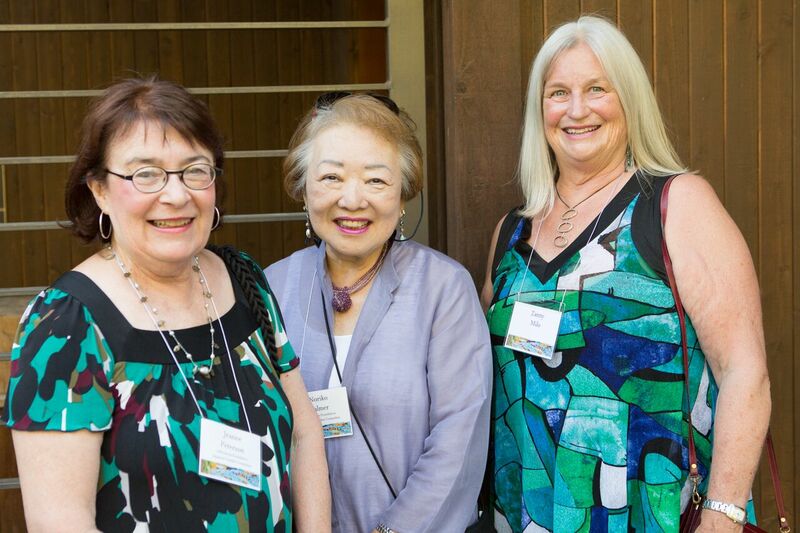 Jeanne Peterson, Noriko Palmer, and Zanny Milo enjoying the event. Guests enjoyed a delicious spread prepared by Chef Sakuma of I Love Sushi, Bellevue. We so appreciate the community’s support and affection for this cultural treasure. 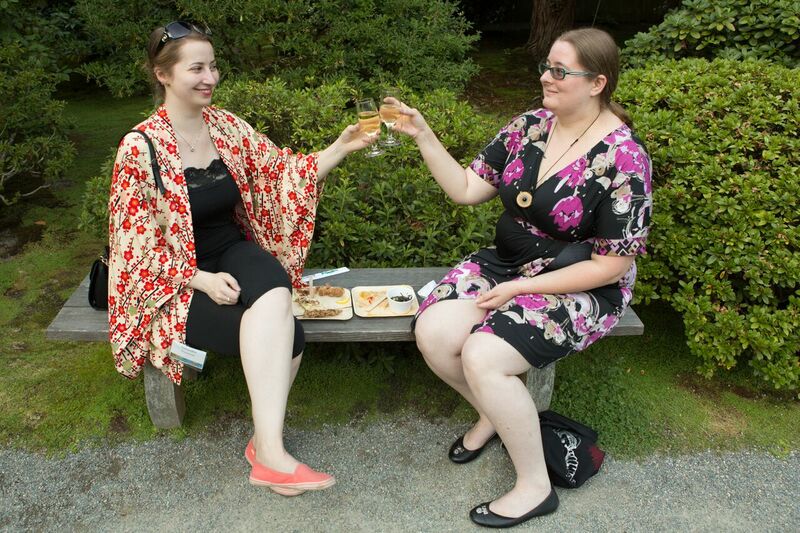 MORE PHOTOS: See the Japanese Garden’s Facebook page for more event pics. ← Loop Trail Update: Making Great Progress!